Want to know how the Adapt Health Care team, can assist you? Simply give us a call on 1800 805 030 or send us an email referrals@adapthealthcare.com.au advising you would like to receive our therapy services and you’re on your way! In your first phone call (or email conversation if you prefer), one of our team will ask you some basic details so we can match you with the best therapist to suit your needs. 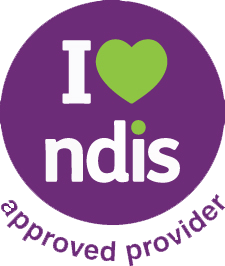 If you’re already accessing the NDIS we may ask you to read and complete a Service Agreement and Consent to Share Information Form prior to your first appointment. You have the option to complete these during your first appointment if you wish. We may also ask you for a copy of your NDIS Plan. We call our first appointment a ‘welcome meeting’. It’s a time for welcoming you to our service and for us to set up our partnership together, with the sole purpose of helping you achieve your goals. Your therapist may also commence an initial assessment with you during this time. You can bring a support person with you to this and other appointments.